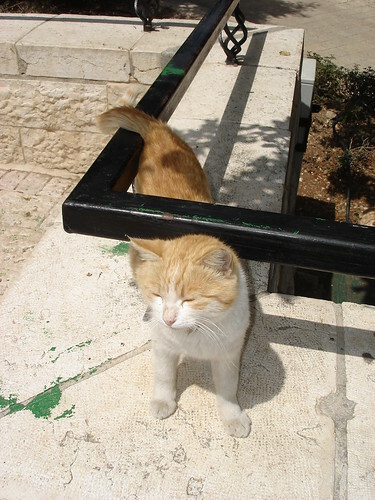 Actually, I was the one on the tour—a walking tour given by Dani Barkai, an excellent guide, and this is the cat I met. She was thirsty, so I watered her. By the time Dani had completed his explanation, the cat had drunk her fill and wasn’t showing interest in drinking any more water. So I grabbed a photo and headed off with the group.